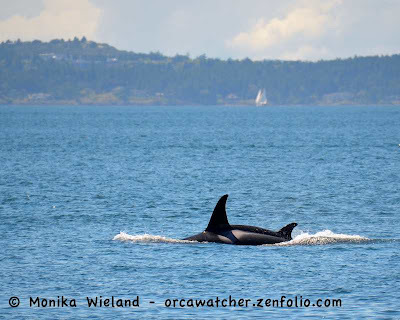 The timing was perfect this afternoon - I just got out from work when I friend tipped me off that J-Pod was heading south from Turn Point towards San Juan Island. I swung by home to grab my camera and a snack and headed out to Lime Kiln Point State Park on the west side of the island. Recognizing the cars of some fellow whale friends in the parking lot, I thought I might be too late, but shortly after getting there the first blows were just coming into view to the north. Yes! As the whales approached, a school group gathered on the rocks above me. Sometimes the running commentary from fellow shore-based whale watchers is tuned out and other times its annoying. Today, listening to these fourth graders, it was just downright amusing. "No, that one's so small, it could be a baby male." "Oh yeah, it's probably a baby male!" 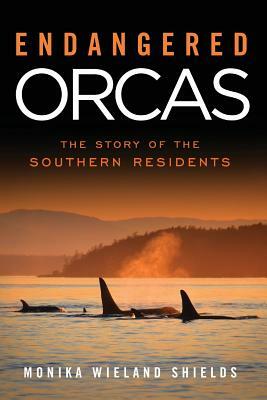 "These are SO resident orcas. 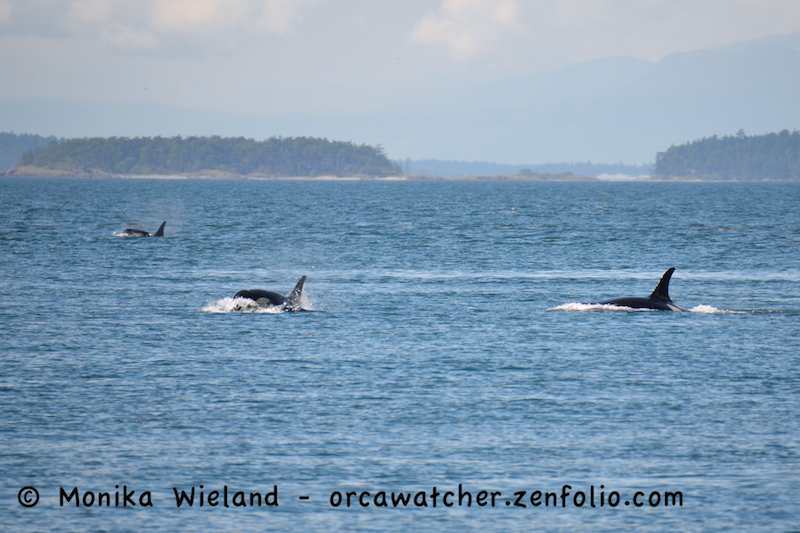 If these were transients that seal would be going bye bye." "I would pay fifty bucks to see a breach." "I would pay a million bucks to see a breach." "You don't have to pay anything to see a breach." 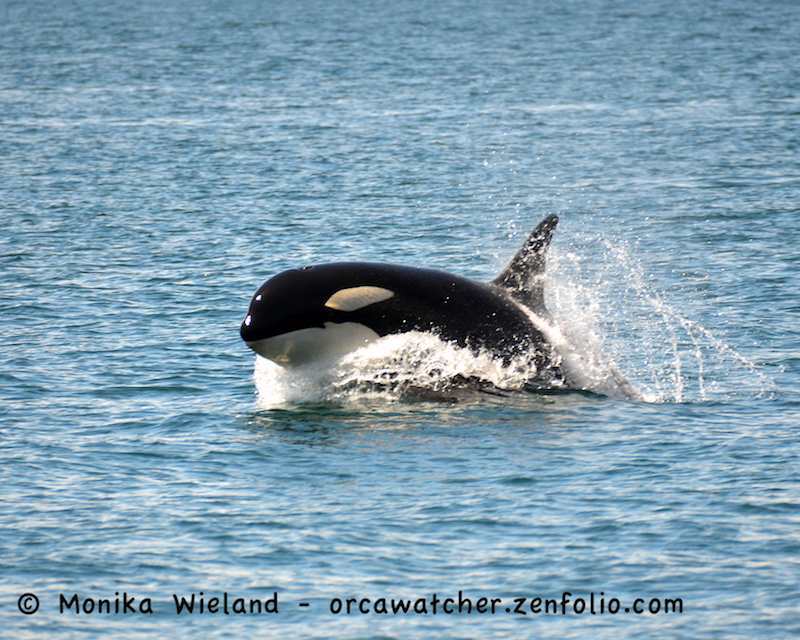 Last weekend while at the Moby Doll symposium, I was reminded how for quite some time the "theory" of being able to identify individual killer whales by their markings was controversial. It took a while before people believed each whale was unique. These kids seemed to know that intuitively, naming the whales as they passed by, and then impressively tracking each individual whale as they continued swimming along. 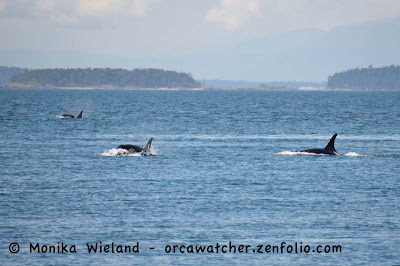 Admittedly, it helped that many of the moms and youngsters were closest to shore, providing whales of all different sizes for them to look at. "I named that whale Sneedles." "This one is Ninja and the next one is Stripe." "No that's Ninja. Sneedles is thin and Ninja is huge." 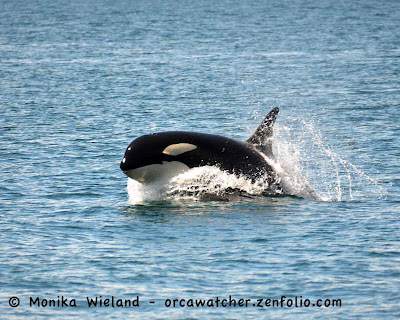 "Oh yeah, but there's the little one, that's Stripe"
"These whales already have names you know." "Yeah, but these could be their middle names." "Yeah, these are our nicknames for the whales!" 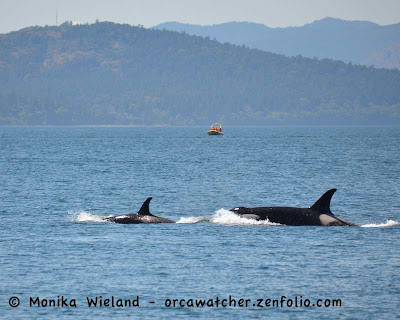 Four year-old J45 Se-Yi'-Chn with mom J14 Samish. Or is that Stripe and Ninja? It was inspiring to listen and realize how much the kids were into not only seeing the whales, but the whole experience. "If they do this program next year, I'm SO going to come again!" "I would rather just out here all day and look at the water than be inside." J37 Hy'shqa with calf J49. Vera amusing kids. Good for them!